Once you add any radio show in yourshopping cart, select a sampler CD to be included in your order free of charge. If you would prefer to purchase an extra copy of this sampler CD, click the ADD TO CART button above. 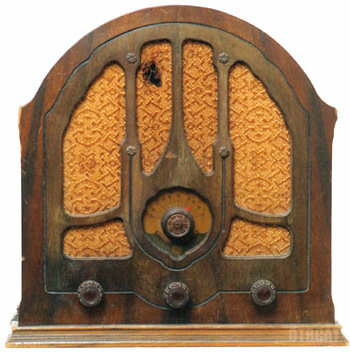 Front and Center, old time radio fans, OTRCAT.com Sampler #10, has the seal...Christmas Seal of approval with an Atlantic Spotlight on Gallant American Women in American Heritage. We wanted to give you a Behind the Scenes look at the great new collections in OTRCAT.com Sampler #10. It's a High Moment on Cloud Nine (an Air Castle) with the Devil and Mrs. O. You just might Request Performance from Paul Winchell, Rudy Vallee, Bing Crosby with Rosemary Clooney, and more included in the collection. OTRCAT.com Sampler #10 reminds you of Memories of Hawaii on High Adventure with Houseboat Hanna and Men at Sea but keep a lookout for Easy Money from Forbidden Cargo. If you do spot trouble make a Police Report and Sound of War, because the Sports Answer Man may not help even after 30 Minutes in Hollywood. The bargain of all time. Just let it play in your car and you will have many hours if entertainment.